Wendy excels at ensuring our office runs as efficiently as possible. She checks patients in and out, provides financial coordination, follows up with patients after procedures, and manages the staff. Wendy delights in seeing our team and our great variety of patients every day. She loves seeing how happy the patients are when they get their braces removed and their fantastic smile for the first time! Wendy is married and has two wonderful boys in university. They also have a tabby cat named Drizzy. In her spare time, Wendy enjoys golf, curling, and going to gym. 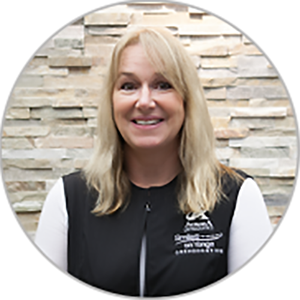 She is involved in golf/curling committees at Thornhill Golf Club. Tessie works alongside Dr. Rashed to prepare the instruments and materials for procedures, assist the Dr. during procedures, and sterilize the instruments. She has been one of the bright smiles in our office since 2017. 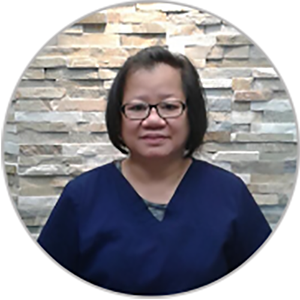 Tessie shines when working and interacting with people, and considers the entire Smiles on Yonge team her family! Tessie and her husband have two grown children — a son and a daughter — and sweet and loving dog, Mico. In her free time, Tessie enjoys gardening, cooking, and listening to music. Briia’s smiling face is the first thing to greet our patients. From our front desk, she makes sure patients are aware of upcoming appointments, books future appointments, handles any paperwork that needs to be sent, and makes sure patients are comfortable in our office. 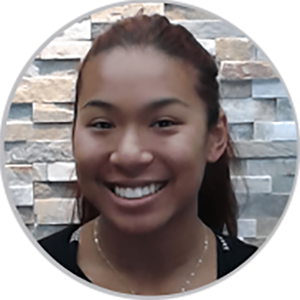 Briia enjoys seeing our patients excited about their teeth transformations, and knowing that she was a part of that process. Besides working here at the office, Briia dances full time, teaches, performs, and choreographs worldwide. She’s been dancing since she was four! Briia also has a soft spot for animals and has two very cute and very energetic dogs of her own. Melissa graduated from Durham College in 2008. She has worked in general practice since 2008 and has a background in orthodontics and endodontics. Having joined our office in 2017, Melissa enjoys meeting new people and creating a positive work environment where every day is fun! In her spare time, Melissa enjoys hikes with her boyfriend and two puppies. She has a background in figure skating and has enjoyed teaching it as well. 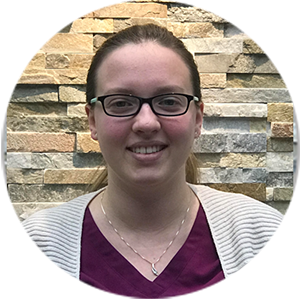 A new and enthusiastic member of our orthodontic team, Lindsay assists the doctors during procedures, tends to sterilizing, and sets up rooms for treatment. Her helpful nature makes her a natural at working with patients and putting them at ease. Lindsay is grateful for our team’s willingness to help and teach her to be her best. Lindsay is currently planning her wedding. She loves the outdoors, especially skiing.